I got inspired by Erzulliesta Timmy’s shoot for her interview “The Emancipation of Timmy Mariano”. I love how the line background clashes with the solidity of the colors of her outfit. I also love how her face is just raw and natural (minimal make up). It’s a nice symbolism that if you do have a “solid character” no amount of fine lines can “cross” you. Pun intended. 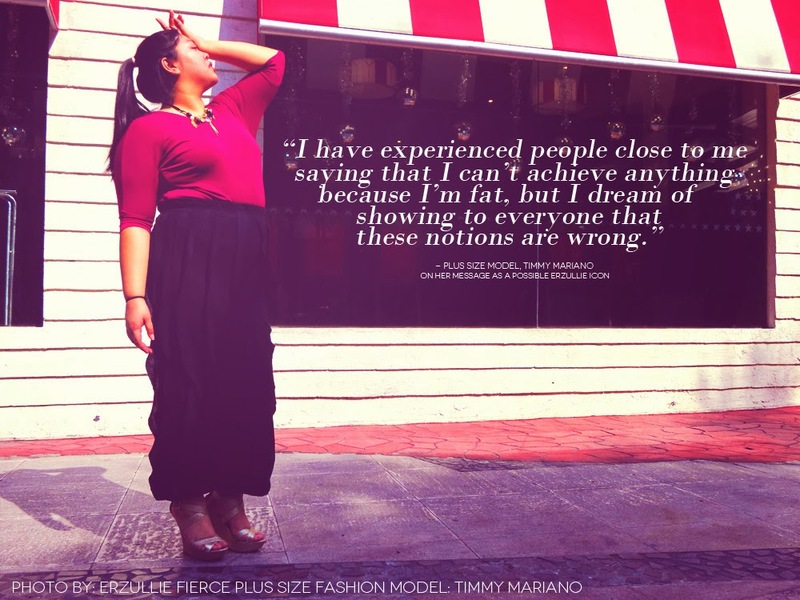 The emancipation of The Next Erzullie Icon 2013 (TNEI 2013) Top 3 Finalist, Timmy Mariano, from being ashamed of being plus size is a journey that needs to be told. Who would have guessed that an Erzullie dress is all that it would take to start the change? 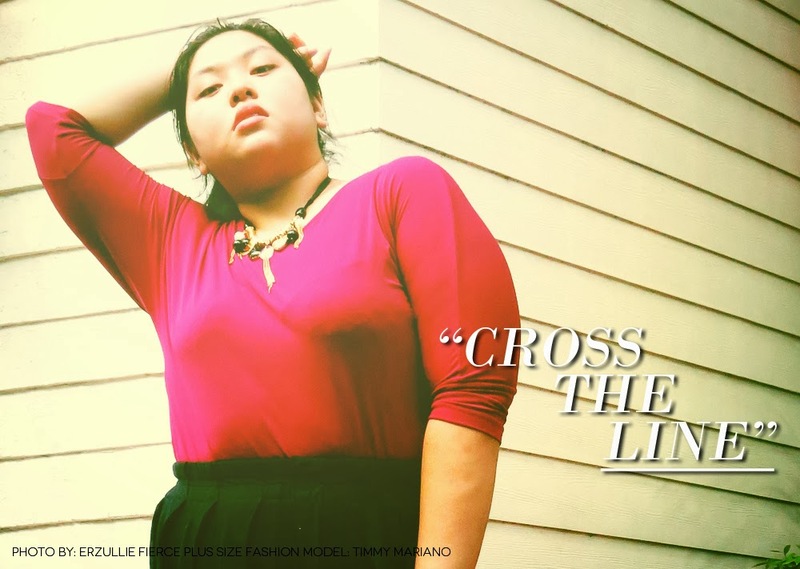 Now running for the title of Erzullie Icon, Timmy shares her story as a plus size woman, model and possible representative of Erzulliestas. I am Timmy Mariano, 20 years old and an advertising student. Before I discovered Erzullie, I was ashamed of being referred to, shopping for or being associated with anything “plus size”. But when I bought that black lace dress from Erzullie, I started to feel more confident and empowered to accept my size and met people of the same sentiment. 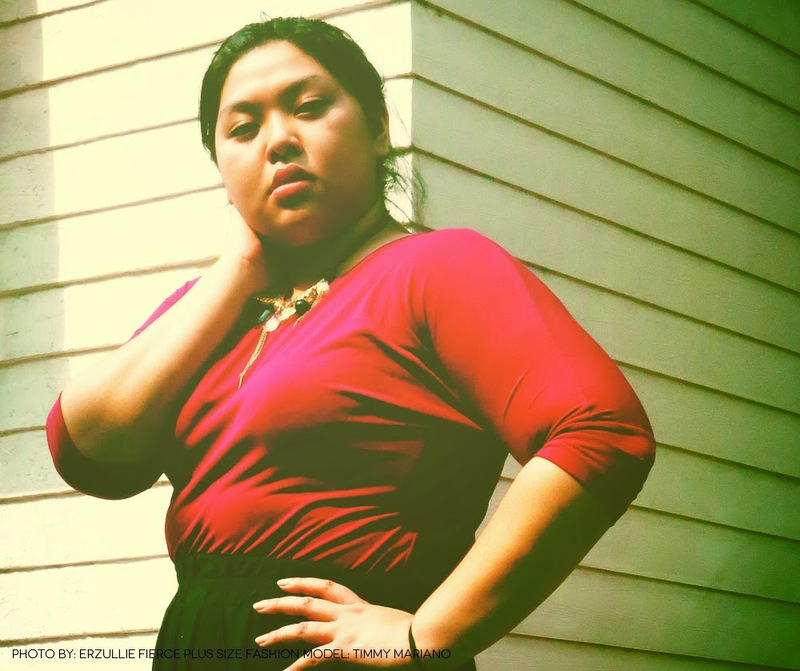 I learned to be more confident and became a proud Erzulliesta --- a strong, successful, and confident plus size woman, who does not give damn about what anyone says about her. I wanted to model long before I saw Erzullie, but I knew it was a long shot. 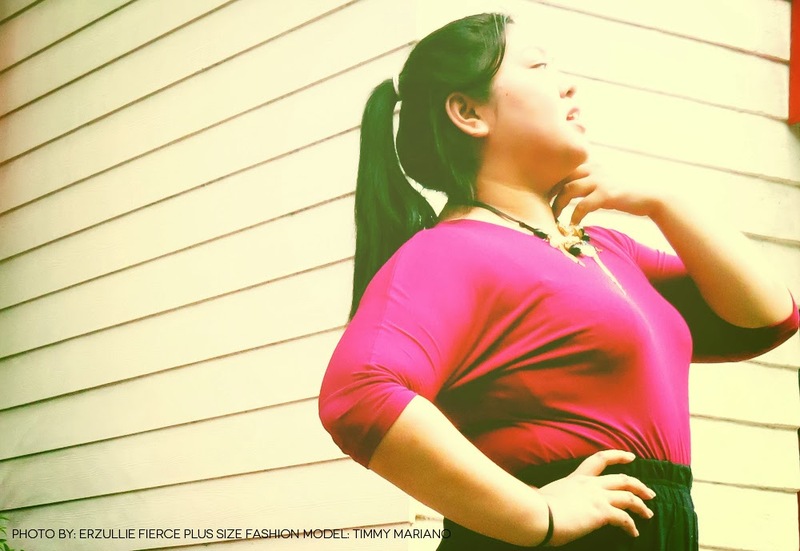 Nonetheless, I have done small modeling projects for some of my photographer friends and recently for GMA news TV's episode about being plus size with Renee Salud. During the plus size model go-see for TNEI, I was intimidated because there were 14 other gorgeous plus size ladies in there! When I was called, the first person to ask me a question from the panel was Ms. Loren Monares and she asked me about losing weight. The topic was still somehow sensitive to me and I started to cry. Good thing I started to calm down later on so that I could do well in my pictures. After the go-see I felt and realized that I could possibly "fit" in the modeling industry after all. This made me see a possible shift in my career. 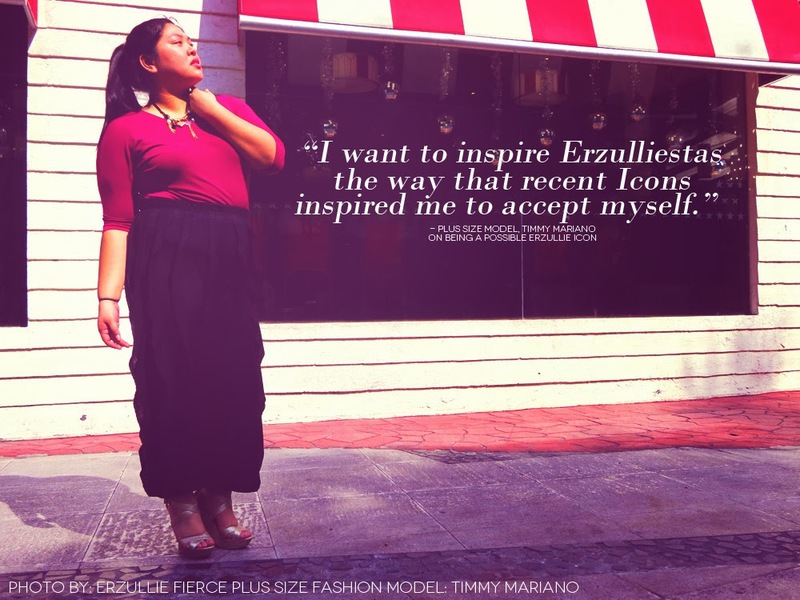 I want to empower Erzulliestas the way that the recent Icons have inspired me to accept myself. I want to represent the Erzulliestas who wants to be successful so that everybody would look up to her. I have experienced people close to me, saying that I can’t achieve anything because I’m fat, but I dream of showing to everyone that these notions are wrong. With confidence in ourselves, we can achieve anything. If I am not chosen, I would do part-time modeling and acting until the next search happens. Personally, I think that Monica would make an amazing Erzullie Icon. Monica's confident, self-assured and fierce personality is inspiration to those women who are afraid to fight back.